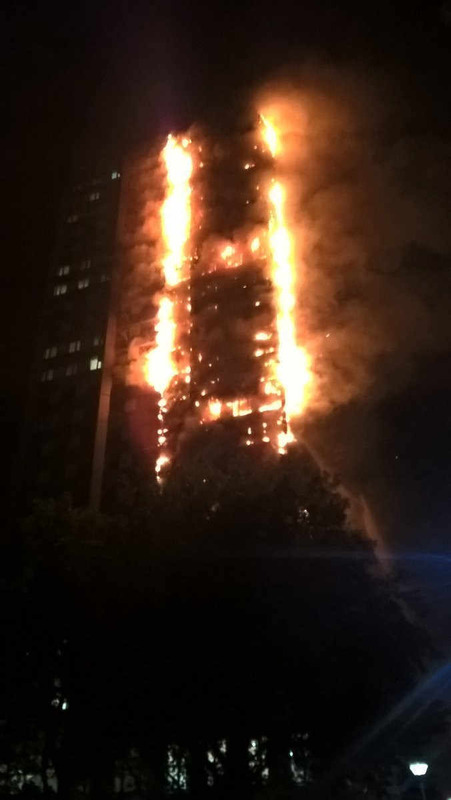 The terrifying scenes of a 24 Grenfell Tower in London went up in fast moving flames on Wednesday, June 14, 2017. The public housing tower was home to about 600 people in the city's West end. Thus far, the death toll has risen to 79 people with the possibility of more. Exacerbating the recovery process are concerns over the stability of the building's hulking remains. Truly terrifying to conceive of. Feargus O'Sullivan writes, in his CityLab article "Did London's Housing Crisis Help Spark a Fatal Blaze?" "As the tower continues to smolder, a truly awful story is coming into focus. It's not just the grim news that people have died and hundreds more are suddenly homeless. It's also that tenants of Grenfell Tower have been warning of unsafe conditions for years." 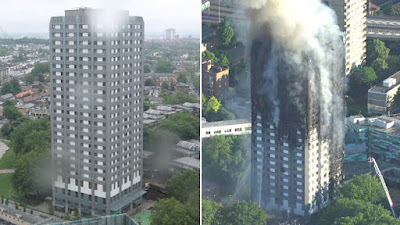 Grenfell's landlord is the Kensington and Chelsea Tenants Management Organisation, a non-profit company overseeing the refurbishment and maintenance of the Tower. The Tower is owned by the borough of Kensington and Chelsea-London's wealthiest borough. Mr. O'Sullivan reports, "In a trend now typical across London, the borough contracted KCTMO to refurbish the tower, in part to increase the number of apartments available for private rent or sale." The shocking result of this work left the Tower with just one staircase and exit. Even more shocking is that management failed to keep that lone exit clear. 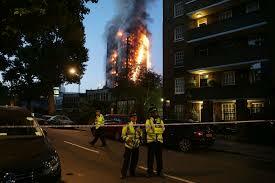 Despite the residents' protests about this and other safety issues, the management turned a deaf ear. The alarm system was also functional, albeit on a floor-by-floor basis, and even more strange, residents were instructed that "if a fire occurred, they should remain in their homes." 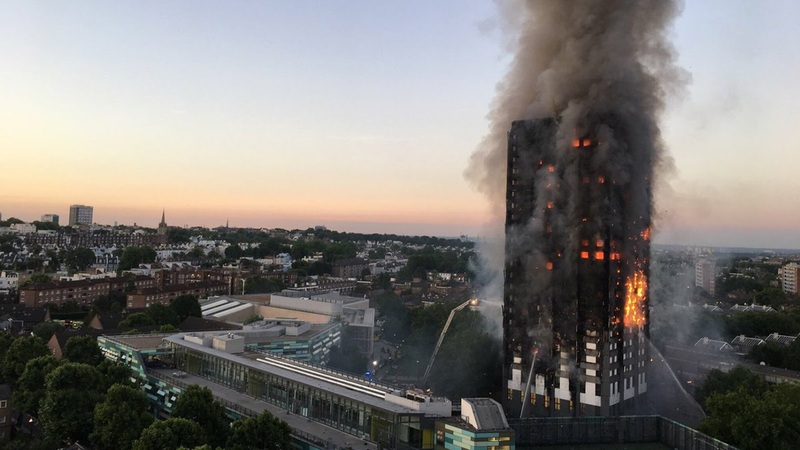 Feargus O'Sullivan observes, "This wouldn't necessarily be bad advice if the building were fully fireproofed and adapted to ensure that fire doesn't spread from floor to floor." 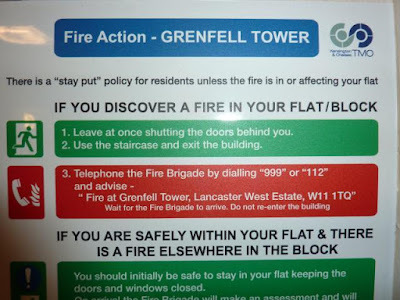 However in this case, the fire moved so quickly that this advice left more open to harm. Those unheeded protests have left residents homeless and a growing casualty list. The situation was made worse when many former publicly owned units were placed in the private market, as part of a Right to Buy plan. "This allowed long-term public housing tenants to buy their apartments at a discount, and many quickly re-sold at a mark-up soon after. As a result, the most desirable projects ended up in part-private ownership." There is an obvious political element: "In recent years, the state and availability of public housing has been one of the hotly contested issues in Britain-especially in London." This is London's current white hot issue-the chronic housing shortage. Feargus O'Sullivan describes the city: "Most of London is built at fairly low densities, but planning laws and organized resistance by suburbanites have made it very difficult to build enough new housing in the more spacious out boroughs." By comparison, inner-city building projects are fairly easy to redevelop because the site is publicly owned. These sites have been specifically targeted for densification projects, rebuilding, and in-fill construction. Redevelopment projects like these are particularly attractive to boroughs in need of revenue to help them manage severe government imposed austerity cuts. Like any potentially gentrification project, attracting buyers to said properties, the boroughs can generate revenue and attract wealthier residents who pay greater taxes and do not use quite as many public services. Redeveloping or rehabilitating public projects translates into boroughs and developers seeking out additional revenues by adding more private homes to the private market-"affordable" homes, below market rate, still generate revenue. Therefore, to maximize profits, there's an urgent need to remove low- to moderate-income tenants to make room for more market-rate apartments. Homes that previously housed these tenants are left empty, "while public tenants can be offered a flat fee to clear out and never return (in some cases without fully understanding that the money offered bars their right to return)." 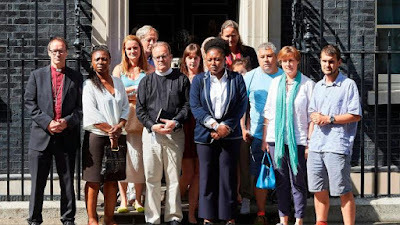 Evictions increase as the property management companies initiated zero-tolerance policies against rent arrears. It is eviction by attrition-the number of public who retain the right of return to the rehabilitated apartment is whittled down. In some instances, the rehabilitations involves a complete take down of the building. The work done on the Grenfell Tower involved playing around with the internal floor plan to accommodate additional units, "a process that may have compromised the tower's fire safety by breaking down the previous controls that might have prevented fire from sweeping from floor to floor." 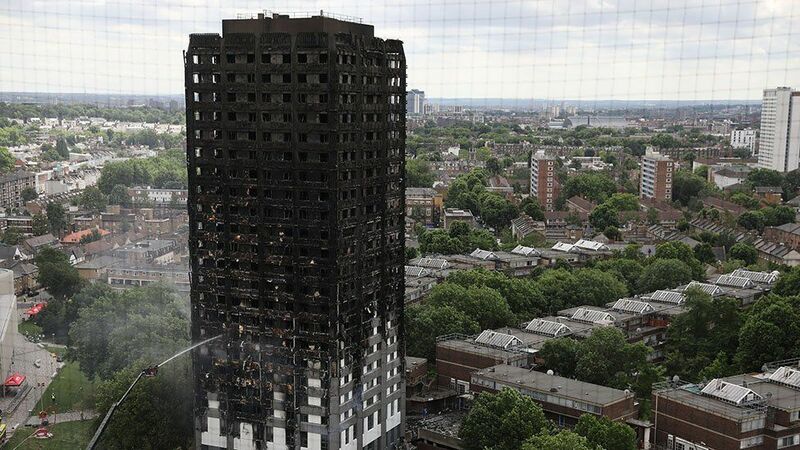 The new cladding, is consistent with an approach that superficially improve a building's appearance to make it more attractive on the private market place, neglecting more important structural deficits not immediately apparent to the viewer. 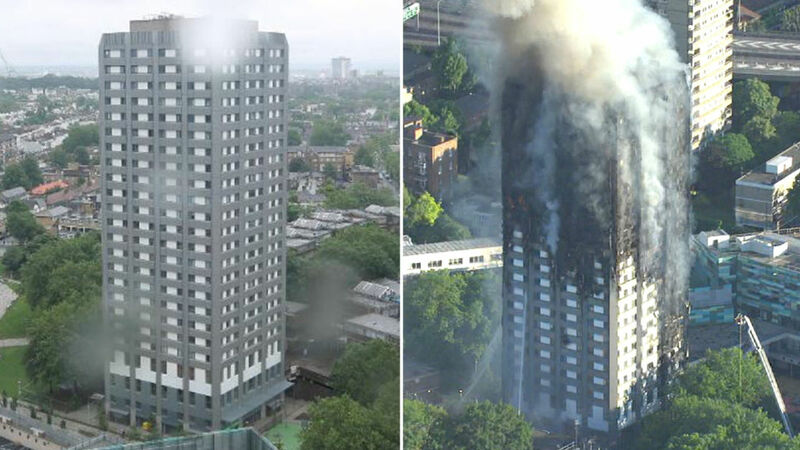 Mr. O'Sullivan speculates, "If Grenfell Tower hadn't been rearranged to create more apartments and re-clad to make it look newer, there's a chance it would still be standing intact." 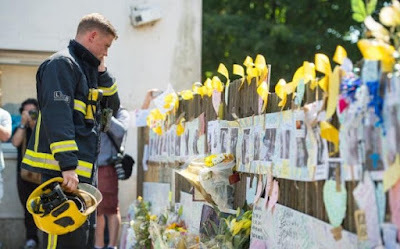 The Grenfell Tower tragedy will most likely have serious repercussions, arriving right on the heels of a snap election called by Prime Minister Theresa May. The "shellacking" of the Tory government has PM May signaling an end to the austerity policies that led to systematic neglect of public infrastructure. The Kensington-Chelsea borough, where the fire took place, overwhelmingly voted Labour. In an ironic twist, the borough is also one of the richest in the world. What makes it tragically ironic is that the reports of neglect, the threats, and indifference by the Conservative leaning local council toward low-income tenants is acutely bitter in the face of the incredible wealth of the area. At the national level, "the media has already noted that Theresa May's new chief of staff sat on a report that exposed serious concerns about the fire safety of residential towers." Feargus O'Sullivan adds, "But it would be inaccurate to present Grenfell Tower's neglect as a Conservative issue alone." He rightly notes that most of the inner London boroughs are Labour party constituents, reporting similar experiences of displacement and gentrification. This is a powder-keg issue in London, with activist warning that a major crisis is looming in the horizon. 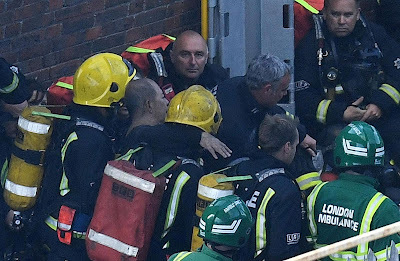 The Grenfell Tower Fire brought this to forefront in the worst possible way.